If you’ve ever longed for the futuristic closet in Clueless – or just dreamed of easily locating your shoes before work – look no further than your smart phone! While we can’t promise the supercharged conveyor-belt in Cher’s closet, we can set you up with a virtual way to manage your wardrobe like a boss. That way, you’ll stay organized, keep track of what you own and always be able to find that missing saddleback shoe. If you’re interested in coordinating your closet by color, style or pattern, this app makes that easy. Styliticsbasically takes the thought out of getting dressed (which can help make mornings less stressful). This app sends push notifications or “style alerts” giving you trend and weather updates. Bonus: Make sure you check out the outfit suggestion feature! Because the app keeps track of when a piece of clothing was last worn, it can actually suggests outfits for you based off how often you wear certain items. 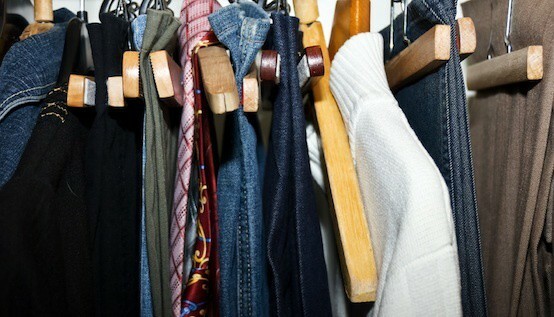 If you’re looking to free up some room in your closet, this app is for you. Created by Good Housekeepingmagazine, this app includes step-by-step guides to help you clear clutter and advice on staying organized. BrightNest is more than a site full of helpful advice and how-tos. It’s also an app where you have the ability to save, favorite and schedule tasks (like organizing your closet!). Download the free app for easy guides on topics like de-cluttering your wardrobe, storing seasonal clothes and donating unwanted items. Pick out an outfit or plan your vacation wardrobe without getting out of bed with this brand-new app! WithCloset, you can organize your clothes into categories (like winter, spring or dry-clean only), tag pieces as favorites, track how often you wear certain pieces and even estimate a cost-per-wear of each item. Our favorite part? You can create multiple closets in the same account, so you can keep the whole house organized! This app is closet organizer, wardrobe planner, packing list and inspiration library rolled into one. WhileStyleBook boasts over 90 features, we think its most valuable feature (MVF?) is the personalized Style Stats. You can see what pieces you wear the most and least, so when it’s time to audit your closet, you’ll know what items you should toss or donate. These are the brilliant ideas I have ever seen. I am glad that I came to such informative blog and got these helpful tips. I have bookmarked your post for further reference. Thanks for the sharing this write up and now I am waiting for more posts.